With the growing number of new patients being treated by the skilled physicians at the Leonard Lawson Cancer Center, there are new programs being implemented to service them. Pikeville Medical Center (PMC) Outreach Program Coordinator, Melissa Bentley, has implemented programs to help cancer patients with their overall physical and emotional health. 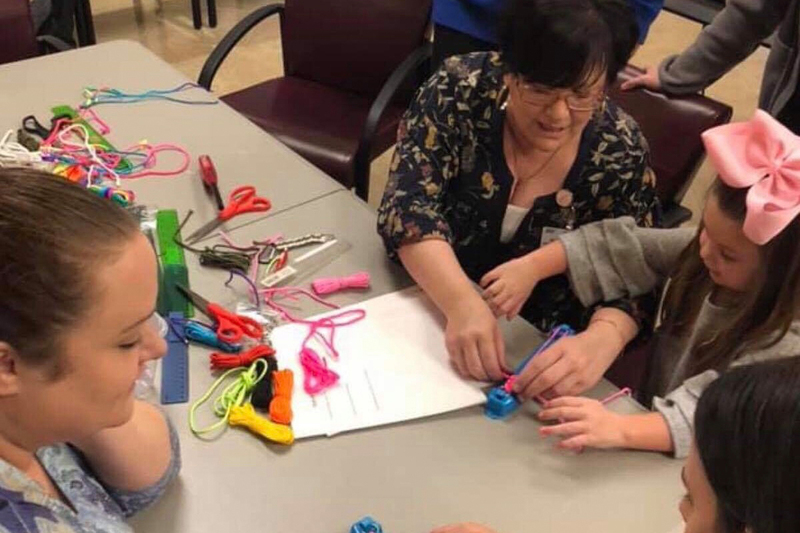 The newest program to benefit the overall mental and emotional health of cancer patients is The Art of Healing, held the second Tuesday of each month, from 10am to 12pm, at the Leonard Lawson Cancer Center. The class creates a relaxing escape using creative activities. For the month of December, an additional Art of Healing class is being added. Cancer patients can visit the Leonard Lawson Cancer Center on December 11th or 18th to decorate ornaments for Christmas. The smoking cessation program is coming back to PMC, but in a different format. PMC has partnered with the Kentucky Cancer Program to bring their Plan to Be Tobacco Free program to the patients. In this new program, trained navigators representing various specialties will conduct educational sessions for the patient, by physician referral. This means that whether a patient comes to PMC for a heart issue, diabetes, cancer care, after stroke therapy, etc., their physician can refer them to the new smoking cessation program, and it’s all free. The referring physician writes a prescription for nicotine patches and one alternative nicotine product such as lozenges, gum, inhalers or nasal spray. To learn more about these programs, or to participate, please call Melissa Bentley at 606-218-4843 or 606-213-7065.